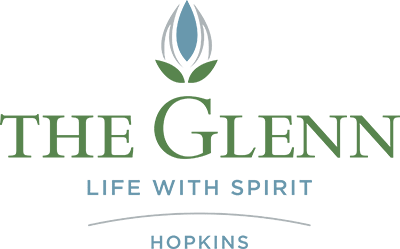 The campus of The Glenn Hopkins boasts three elegant dining rooms for comfortable and delicious meals. You’ll find selection and options on our chef prepared entrée menu. The Glenn Hopkins is pleased to welcome UNIDINE as our new fresh food and dining services partner. UNIDINE creates authentic food from scratch using fresh, responsibly sourced, seasonal ingredients and culinary creativity. Come experience the difference! Resident community members are encouraged to provide their feedback and suggestions to the Chef through our monthly culinary service council meetings. Exceptional service and quality meals makes dining a nutritious and enjoyable part of each day. Contact us for more information about dining and nutrition.